Service Rank and Number / Rheng gwasanaeth a rhif: Private No. 1287. Killed in action on Tuesday 10 August 1915 at Sulva Bay, Gallipoli aged 22 years. David Jones was born in Rhyl, Flintshire in 1894. The 1911 Census shows that the family lived at 11 Brickfield Terrace, Rhyl, Flintshire. The head of the family was John Jones aged 37, who was employed as a General Labourer. His wife Hannah Jones, aged 38 and their 8 (eight) children – David Jones aged 17, who was also employed as a Labourer, Polly Jones aged 16, Willie Jones aged 13, Hannah Jones aged 10, John Jones aged 7, Edith Jones aged 5, Robert Jones aged 2 and Lizzie Jones aged 6 months. During late 1914, David enlisted as a Private with 5th Battalion, Royal Welsh Fusiliers. On Monday 19 July 1915, he sailed with the Battalion via Alexandria to Gallipoli, arriving in Sulva Bay on Sunday 8 August 1915. He was killed in action two days later on Tuesday 10 August 1915. 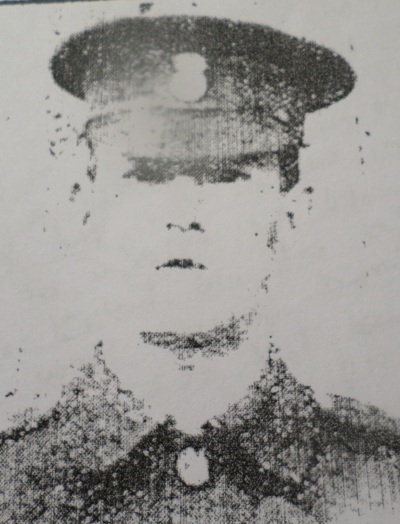 The Rhyl Journal – 25 September 1915 – Another Rhyl Soldier Killed. Another Rhyl soldier who has paid the price of his patriotism with his life is Private David Jones, son of John and Hannah Jones, 11 Brickfield Terrace, Rhyl. He was an old Vale Road National School boy and an employee of Cefndy Brickworks up to the time of the war, when he was called up for active service, being a member of the Flintshire Territorials. Volunteering for foreign service, he was sent to the Dardanelles with the 1st Territorial Battalion, and he was killed in it’s first engagement in the Gallipoli Peninsula on August 10th. The bereaved family has received a message of condolence from the King and Queen and Lord Kitchener. Deceased was in his 23rd year. His father, who went through the Boar War, is at present stationed at Litherland with the 3rd Flintshire Territorials, while his brother is at Bedford with the 2nd Battalion. His last letter home was written on board the transport ship which conveyed him to Gallipoli, and in it he spoke very expectantly and hopefully, and asked to be remembered to various relatives and friends. Five other soldiers from 5th Battalion, Royal Welsh Fusiliers, who are remembered on the Rhyl War Memorial were also killed in action at Sulva Bay that same day – Private 876 Peter Edwards, Private 2554 Bertie Campini of 36 Ffynnongroew Road, Rhyl, Private 857 William Jones of 122 Wellington Road, Rhyl, Second Lieutenant Robert Clare Walton of 11 Garden Lane, Chester and Sergeant William Wilton. 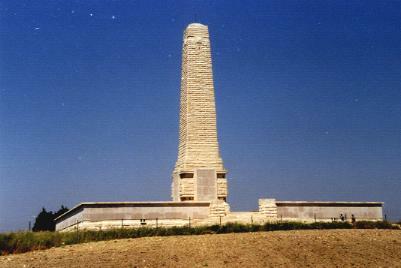 Three other Rhyl Soldiers who are also remembered on the Rhyl War Memorial were also killed in action or died from wounds at Sulva Bay some days later – Private 1596 John Haines, 5th Battalion Royal Welsh Fusiliers, of 9 West Street, Rhyl on Monday 16 August 1915, Private 3248 Edward Davies, 5th Battalion Royal Welsh Fusiliers of 80, Vale Road, Rhyl on Sunday 22 August 1915 and Private 175 Francis James Martin, Army Cyclist Corps(Welsh Division) of 11 Kinmel Street, Rhyl on Sunday 29 August 1915. David Jones is also remembered on a Remembrance Plaque at The Royal Alexandra Hospital, Marine Drive, Rhyl, Flintshire, The Rhuddlan War Memorial and his name appears on the North Wales Heroes Memorial Arch, Deiniol Road, Bangor, North Wales. There is a Flintshire Roll of Honour Card for him at the County Archives Office, Hawarden, Flintshire, which was completed on 18 September 1919 by his father Mr John Jones.